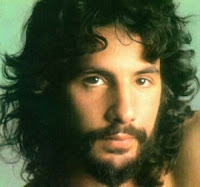 With all of this being said, I have to say that I have been enjoying the hell out of Cat Stevens Very Best Of. Even though it is tough to summarize the importance and greatness of Stevens in just one 20 track album, Very Best Of is not only a good starting point for listeners to get into Stevens career but it does his career some sort of justice unlike most "Best of" or "Greatest Hits" albums. Very Best Of is able to do Stevens career justice because Stevens unique talents have made him an artist who cannot possibly be hurt by a "Best Of" album: just about any combination of Stevens songs flow perfectly together, Stevens "hit" songs are just as good as his hidden gems, everyone of his songs has the "fresh" feel of a song that would be on a "new" album, and his songs have a timeless quality. Stevens is an impressive artist for three reasons: he is clearly a 1960's and 1970's popular folk music yet his music has a timeless quality that still makes it enjoyable and relevant today, just about any combination of his songs flow perfectly together, and he is so uniquely talented that his "Greatest Hits" album(s) don't have the usual flaws that "Greatest Hits" albums today. Take a listen to Stevens music soon, hop on his peace train, and enjoy the timeless, free flowing, and beautiful ride that his train gives you.